We – SOAR MEDICAL-TECH. CO., LTD. specialized in the Veterinay Medical Equipment Industry which engaged in the innovative developments, agent for the sale of the foreign commodities, and exporting our remarkable products abroad since founded in 1996, such as the Veterinary Anesthesia Delivery System SV-3000 which were developed by ourselves and very popular in this field with the sales record of several hundreds of units up to now, Veterinary X-Ray machine manufactured by R-Tec Japan as the OEM supplier of TOSHIBA JAPAN, as well as the Anesthesia Machine of Kimuramed Japan…etc. Whenever, our company always provide guarantee for the a prime quality to be achieve the greatest satisfaction with all customers continually. Furthermore, you can also visit our company at the booth through the International Veterinary Exhibitions like FASAWA, WSAVA…etc where we demonstrate a full range of products regularly. We have a full of confidence that you must be pleased with service of our great business team. The reliable products in superior quality comes from the constant attention of our mind. 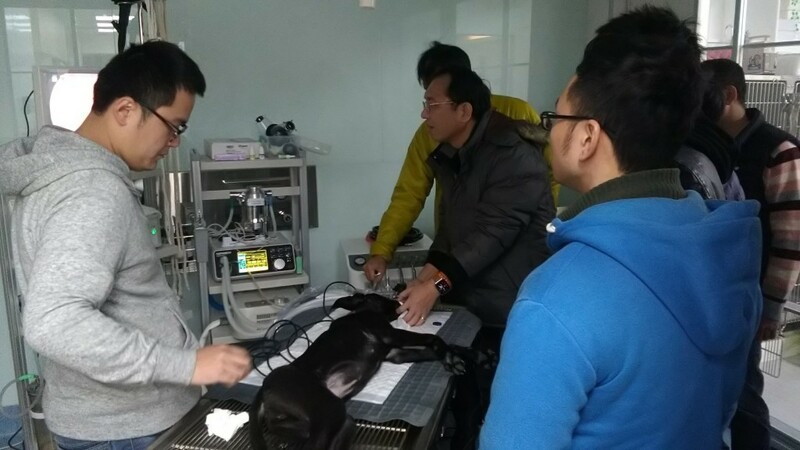 As the risk of medical treatment rising, veterinaries continually improve the professional knowledge, the most up-to-date equipment simultaneously plays a crucial role during the medical treatment. Soarmed conscientiously takes the strictest measure for quality control in production, inspection of each product we act on that assures each product exerts its effort, which veterinaries may provide the highest level of services for pets under the safe circumstances. Here we would like to express our heartfelt gratitude to our clients for the trust that they have been placing us. Our remarkable maintenance team had been accumulating a wealth of technical experiences for over decades, whatever a hitch, breakdown or maintenance…etc, we were capable of bringing it into solution with the satisfaction as expectation. Furthermore, Machine in reserve for the period of repair and maintenance was also launched, which assured our clients of a reliable After-service without any influence on daily operation. Have you ever bought something failed to meet demand? In view of that, Soarmed prepared a wide range of Demo-Machine that the prospective clients can try its performance for a period of time before any purchase. Moreover, you can participate in the seminar that our company hold, where we comprehensively teach its functions for clinical application with a full of introduction. As a leading supplier and exporter in Taiwan, Soarmed would like to provide customer’s products and services with over-added value all the time, and also establish the long-term cooperation with clients based on trust.